I am a tactile learner. Everything I do is guided by touch, my entire life I have learned things the hard way; by doing, feeling, and experiencing. This has led me to an obsession with textures and how these textures change over time. Man made or natural; smooth or rough; protruding structures or deep crevasses all have found their way into my prints and drawings. These textures have been shown in landscape portraiture and abstraction. The drift between subjects has not only aloud me to explore different palpable qualities but attempt to use similar means in depicting very different surfaces. For example using the grain of wood to show wear in corrugated steel as well as lines and movement in a persons face. Within printmaking and drawings, my preferred approach is wood. Wood has interested me in color, history, versatility as a media and of the grain and texture. I have explored using the texture in separate ways as representation and abstraction. In representational images the wood grain is used to show building of layers or as a means of movement through a composition. In Portraiture how skins looks or sags over time. 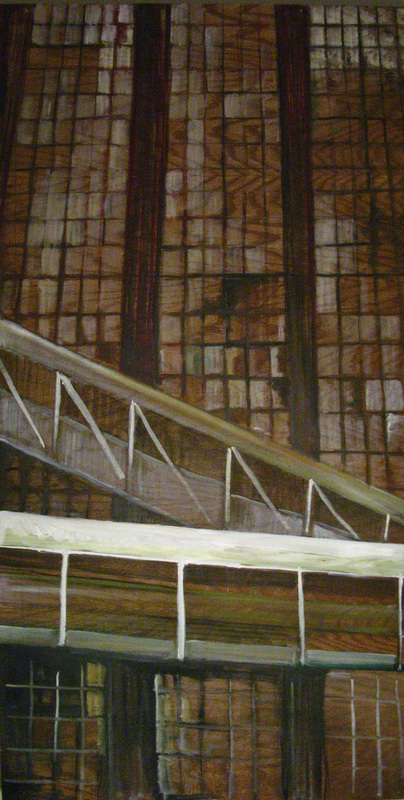 Abstractly I have used the same grain to deteriorate structures so they fall, lean or melt. Color has always been extremely limited in my work. 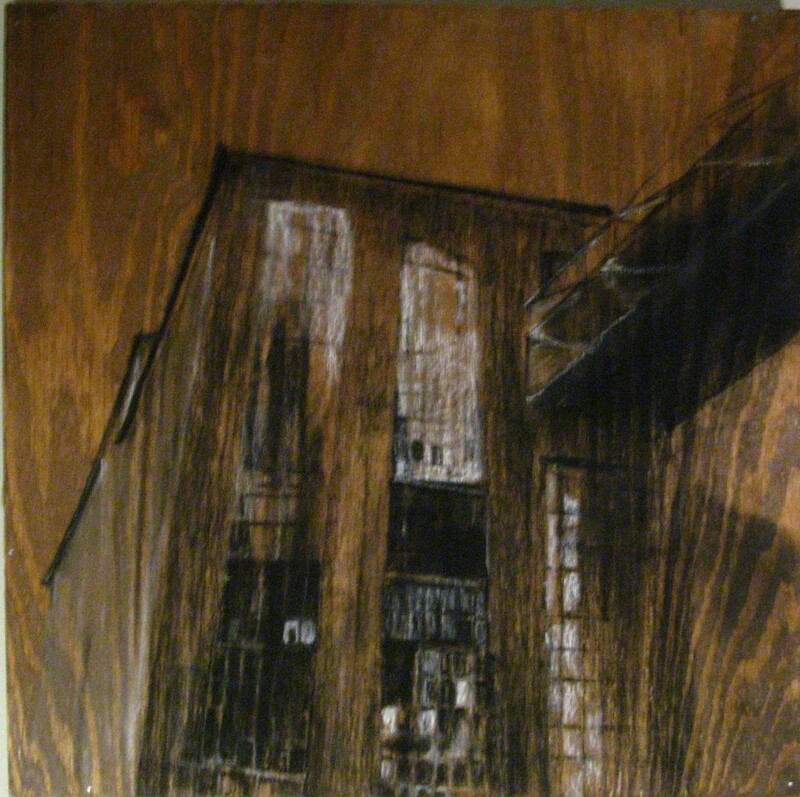 I find in my drawings the color of the wood is used to show the surface, which adds to the age of the subject or interest in textures. 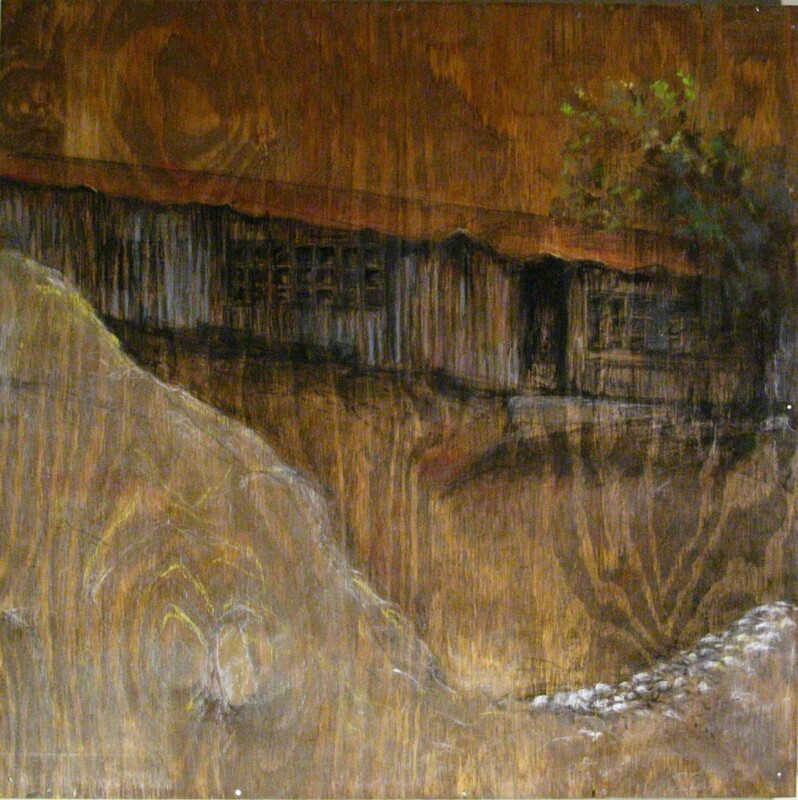 Wood as a tool also has such an immense history, which I want to employ on the subjects that I depict.